I have pursued a woman for almost twenty years. It is a fairly thankless task occasionally as she eludes me, but sometimes she appears to be so very beautiful you cannot look away. 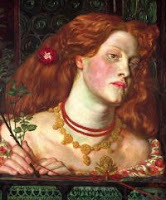 My problem is that she died a good many years ago, which makes our relationship rather problematic, but on the whole Fanny Cornforth is the girl for me, so much so that I spent a decade researching and writing a biography of Rossetti’s mistress and model, which I am currently redrafting and reissuing. So what is it about Fanny that makes her special? Why did I choose Fanny above the more obvious charms of Jane Morris and Elizabeth Siddal? I first started my love affair with Pre-Raphaelite art in the undergraduate year of my degree, as part of a course on Victorian Society. I couldn’t believe the depth of colour, the near photographic intensity of subjects and the dark romance of the scenes. I was smitten, especially with the work of Dante Gabriel Rossetti, who knocks me sideways with sheer bloody-minded vision of beauty. 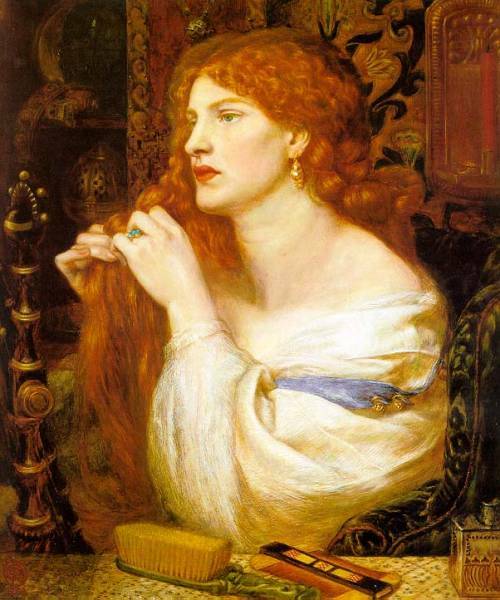 I read the available material on Elizabeth Siddal and Jane Morris, even then deeply researched and adored by biographers, but wondered about the other women who populated his work, especially Fanny Cornforth and her 1860s sister, Alexa Wilding. 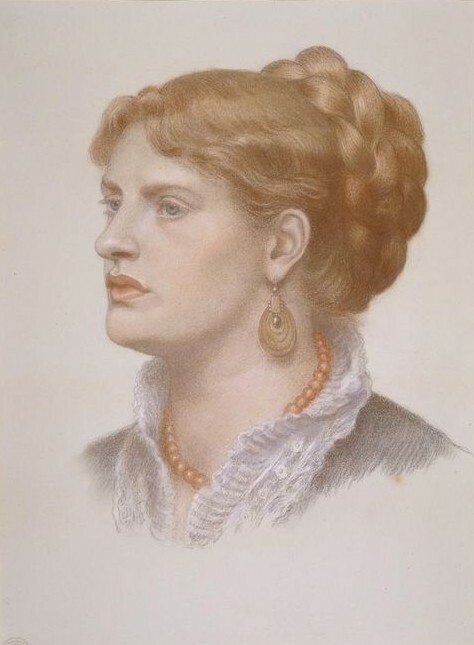 While Alexa has snuck by mainly unnoticed (apart from the magnificent work of Jennifer Lee), I became fascinated by Fanny Cornforth who seemed to take regular and vitriolic beatings from critics both contemporary and modern. She was branded as a thief, a liar, an obese, illiterate prostitute and a murderess. It was at this point I became a little obsessed. What a woman. Now, the charges levelled against her are both a little true and false (apart from being a murderess, which is entirely fantasy), but the fact that her critics could not move beyond calling her names, rather than seeing what she contributed to Rossetti’s life and art was fascinating. For me, she provides a bridge between the water-coloured maidens of Lizzie Siddal’s time and the dark brooding damsels of the reign of Jane. 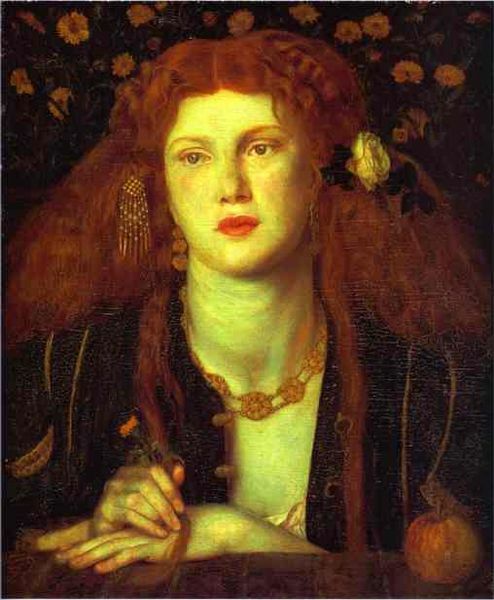 I think some of the paintings of her speak of the very best of Rossetti, especially The Blue Bower which is a startling expression of colour, and Bocca Baciata which reveals a very modern experience of love, shocking and lovely in equal measure. Even after she had stopped being his primary model, replaced by Alexa Wilding and Jane Morris, Rossetti still drew her, and the collection of portraits he produced of her from 1869-1872 are stunning, especially the three later works, displaying his amazing talent with pastels. Off the canvas, her life was no less remarkable. Fanny escaped her life as a blacksmith’s daughter (which would have been short, if the lives of her siblings and parents is anything to go by) to come to London and be discovered by Rossetti. She managed The Rose Tavern and The Rossetti Gallery. Through contact with American tycoon Samuel Bancroft Jnr, she assisted in the assemblage of an extensive collection of Pre-Raphaelite art. She travelled to Paris and saw the studios of Impressionist artists and, in London, she moved in the circles of some of the most important artists and writers of the day. According to Thomas Hall Caine, Rossetti’s last thoughts were of Fanny, aware that her life without his admittedly changeable protection would be fraught, but she survived for at least twenty years after his death. 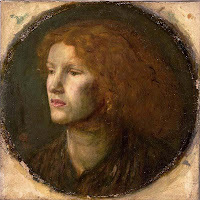 She weathered the comings and goings of Annie Miller, Lizzie Siddal, Jane Morris and probably numerous other women who passed through his bed and studio and her affection did not waiver, and if Hall Caine is to be believed, neither did his. For me, Fanny is the epitome of what it means to be a Stunner, and I only hope that in my work I do her justice. I have only recently started studying the pre and was instantly taken by Fanny. I think I have a fondness for those history forgot. And I feel an instant sisterhood with any women given the label of fat. I love every painting and picture of her. I cannot get her out of my mind. When I have money I will order your book. I cannot wait to learn more about her. And I am looking forward to your blog updates.